1849 drawing of a family searching for food during the Irish potato famine. The Irish Potato Famine Explanation of Irish emigration during the mid-nineteenth century from The Gilder Lehrman Institute of American History. Irish-Catholic Immigration Summary of emigration from Ireland to the United States from The Library of Congress's American Memory Project. 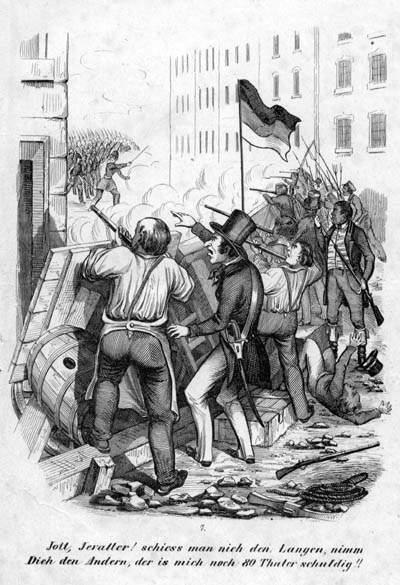 Unsuccessful Revolution in Germany Relation of mid-nineteenth century political turmoil to emigration from Oldenberg University. American Jewish Immigration Survey of Jewish immigration, including mid-nineteenth century German Jewish emigration from The Sherwin Miller Museum. The Highland Clearance Explanation of early nineteenth century emigration from Scotland's Highlands from The Highland Folk Museum. Dutch Emigration Bursts Synopsis of major Dutch emigration periods from Hollandnet.